Is paying taxes a pain for you? Many of you may be aware that making investments can help you save tax, but what you may not be aware of is that Income Tax Department gives tax benefits for incurring some personal expenses as well (like health checkup, paying stamp duty for home and many more). These expenses are mentioned in the income tax deductions. In this guide, we will explain to you all the income tax deductions under Chapter VI-A of the Income Tax Act (i.e. all deductions under section 80C to 80U) The benefit of understanding income tax deductions? You make the right tax saving decisions! So, read on to know more about income tax deductions. Let’s get started! So, what exactly is an Income Tax Deduction? A deduction from an Income Tax point of view, is the investment / expenditure made by you that help you save taxes. So, the income tax deduction reduce your gross income (means the income on which, tax has to be paid).Thereby, reducing your tax on your total income. *All the calculations are done based on F.Y. 2018-19 Income Tax Slab. For knowing deduction impact and tax amount for F.Y. 2019-20, F.Y. 2018-19, F.Y. 2017-18 use this free Income Tax Calculator. 80C Deductions: LIC, PF, PPF etc. In case of an individual:Individual, spouse or any child of such individual. In case of HUF: Any member of HUF. Do note that before making the payment towards the premium, first check with agent or read the policy description whether it is eligible for deduction for income tax purpose. In case of an individual: Individual, spouse or any child of such individual. The best part about PPF is that the interest you receive on your PPF account and receipts on maturity or withdrawals is fully tax free. The PPF account matures after 15 years but part of the money can be withdrawn after 5 years. Children's Tuition Fees You can claim deduction for the payment of tuition fees of your children to any university, college, school or other educational institution situated within India for the purpose of education. However, deduction would not be allowed for payment towards any development fees or donation or payment of similar nature. This deduction is allowed for a maximum of two children. Principal Repayment of Housing Loan You can claim the deduction of principal repayment of your housing loan taken for purchase or construction of residential house property. Deduction can also be availed in respect of stamp duty charges, registration fee and other expenses paid for purchase of your house. This deduction is available for both individuals and HUF. But keep in mind that if you sell/transfer such house property in respect of which such deduction was taken before expiry of 5 years from the end of financial year in which possession was taken, then the deduction availed in the earlier years will be taxable for you in that year. Sukanya Samriddhi Scheme In lines with the Beti Bachao, Beti Padhao campaign, this scheme was launched on 22nd January, 2015 by Prime Minister Narendra Modi. You claim deduction under this scheme for any sum deposited by you in the Sukanya Samriddhi Account of your girl child or any girl child for whom you’re her legal guardian. The minimum limit of deposit under this account is Rs 1000 annually and maximum Rs 1,50,000. Interest earned and money withdrawals from this account are tax free. Mutual Funds (Equity Linked Saving Scheme) You can claim deduction in respect of subscription to units of UTI or mutual funds specified u/s 10(23D) of Income Tax India, 1961. Provident Fund If you're an employee, then you can claim deduction in respect of contribution towards your Statutory Provident Fund or Recognized Provident Fund Account. Bank FDR’s (Known as 5 Year Tax Saving FDR’s) Almost everyone invests in Bank FDR’s but did you know that you can claim deduction for it too. Investment must be made in tax saving term deposit for a lock in period of 5 years or more with scheduled banks to avail the deduction. Post Office Tax Saving FDR’s (Post Office Time Deposit Scheme) Similar to Bank FDR’s, 5 year FDRs of Post Offices are also eligible for deduction under section 80C. National Saving Certificate (NSC) Subscribe to NSC and you’ll be eligible for deduction for the amount you contribute. These can be purchased from Post Office. Read more. Deferred Annuity Plan You can claim deduction in respect of payment made by you under Deferred Annuity Plan. This annuity may be in your name, your spouse's name or in the name of any of your child. But to claim deduction under this annuity plan, there should be no provision of receiving cash in lieu of annuity. And, if you're a government employee and any sum is deducted from your salary under deferred annuity plan, then deduction is restricted to only 1/5th of your salary. Contribution towards Approved Superannuation Fund. Deposit in an account under the Senior Citizen Savings Scheme. Contribution towards annuity plans of LIC like Jeevan Dhara, Jeevan Akshay etc. or any other insurer as approved by Central Government. Subscription to equity shares or debentures of Public Company or any Public financial institution forming part of any eligible issue of capital approved by Board where proceeds are utilized for infrastructure company. Stamp duty, registration fee incurred for the purpose of transfer of such house property to the assessee. For more details about this deduction Read More. However, as per section 80CCE, you can claim deduction of only Rs 1,50,000 under section 80C, 80CCC, and 80CCD (1) cumulatively. Limit left under section 80CCE i.e. Rs 1,50,000 - deduction u\s 80C - deduction u\s 80CCC. Actual Amount paid under eligible NPS. 80CCD(1B): You can claim an additional deduction of up to Rs. 50,000 under this section for investment in NPS Scheme. This is in addition to 80CCD (1). 80CCD (2): Sec 80CCD(2) deduction for AY 2019-20 can be availed by you if you're an employee and your employer makes contribution under NPS Scheme for employees. It is allowed only to the extent of 10% of your salary (Basic salary+D.A). For AY 2018-19, 2019-20 & 2020-21 the deduction limits under section 80CCD are same. Note: In the above example, Deduction u\s 80CCD(1B) is not considered because deduction u/s 80CCD(1B) is available without any additional condition. The deduction is available lower of Amount invested or Rs 50,000/-. Your gross total income for relevant financial year should not exceed Rs 12 Lakhs. You should be a new retail investor as specified under notified scheme. Minimum Lock-in period for claiming deduction under this scheme is 3 years from the date of acquisition. So, if you sell/transfer such listed equity shares/listed units of equity oriented funds then deduction allowed earlier will become taxable. This deduction option is not available now for new investors from A.Y. 2018-19. However, an assessee who has claimed deduction under this section for assessment year 2017-18 and earlier assessment years shall be allowed deduction under this section till the assessment year 2019-20 if he is otherwise eligible to claim the deduction as per the provisions of this section. Lumpsum consideration for assignment or grant of any of the interest in copyright of the book and other royalty or copyright fees in respect of such book. Note: For the purpose of this section, Books includes work of literary, artistic or scientific nature. However, books doesn't include brochures, commentaries, diaries, guides, journals, magazines, newspapers, pamphlets, text books for schools, tracts and other publications of similar nature, by whatever name they are called. The above-mentioned limits include a limit of Rs. 5,000 for any expenditure made for the purpose of Preventive Health Checkup. If any medical expenses are incurred on a Senior Citizen (60 years of age & above), it will be considered a part of the limits mentioned above provided that no policy is taken for him/her. For AY 2018-19 the limit of Rs 50,000 for senior and super senior citizens was Rs 30,000. Also, medical expenses as mentioned above were available only to those aged 80 years and above. The payment of premium should be made other than cash. However, for preventive health checkup, it can be made in cash also. Section 80E : Interest on Education Loan Only individuals are eligible for this tax deduction. It is available on the interest component of an educational loan. It starts from the year when an individual starts repaying the loan.However, it is to be noted that the deduction can be availed only for eight years, beginning from repayment from the first year. The provisions of this section are same for AY 2018-19, 2019-20 & 2020-21. Section 80EE : This deduction is a boon for the first time home buyers. Section 80DD: Deduction in respect of maintenance including medical treatment of a dependent with disability. You can claim Sec 80DD deduction for AY 2019-20 in respect of a dependent person with a disability when you incur expenditure on their training, rehabilitation, medical treatment, payment made to LIC, Unit Trust of India or any other specified scheme or deposit on behalf of such dependent. Rs. 75,000 fixed, in case the dependent has 40% or more disability but less than 80%. Rs. 1,25,000 fixed, in case the dependent has 80% or more disability. Dependent person includes your spouse, children, parents, brothers and sisters. In case of HUF, any member of HUF. Benefit under this section is available only if the dependent person has not claimed deduction u\s 80U. A certificate of disability is required from prescribed medical authority. This is a fixed deduction and not based on actual expenses. Deduction u/s 80DDB for AY 2019-20 can be availed by you in respect of payment for medical treatment of a specified disease or ailment (such as AIDS, cancer or other neurological diseases specified under Rule 11DD). Deduction under this section can be availed for yourself or dependent up to the amount actually paid or Rs. 40,000 (1,00,000 in case of Senior as well as super senior citizen) whichever is less. For AY 2018-19 deduction of Rs 60,000 was available in case of a senior citizen or Rs 80,000 in case of very senior citizen. You must mandatorily obtain a prescription for such medical treatment from the prescribed specialist. The amount of deduction will be reduced by amount, if any `received, in respect of insurance or reimbursement by your employer for the treatment of the person concerned. 80 DD: It is for specified disability of dependent. 80 DDB: It is for treatment of specified diseases of dependent. Changes in Budget 2018: In this budget, under deduction u/s 80DDB, the class of super senior citizen has been submerged into senior citizen raising the limit of Rs.60,000/80,000 to Rs. 100,000 or the amount incurred whichever is lower. If an individual, is certified by the medical authority or a government doctor to be a person with disability, then he is allowed deduction of Rs. 75,000 under this section. In case the person is certified by the medical authority to be a person with severe disability, then the quantum of deduction allowed under this section will be Rs. 1,25,000. Sec 80U deduction for AY 2019-20 is a fixed deduction and not based on actual expenses. The limits under section 80U are same for the AY 2018-19 and AY 2019-20. You're eligible for availing deduction if you don't receive House Rent Allowance (HRA) from your employer or if you're self-employed. If you, your spouse, minor child or HUF of which you're a member owns any accommodation at the place where you're employed or doing business. If you own any residential house at the place other than place of your residence, then such property should not be assessed as self-occupied property. Here, adjusted total income = Gross Total Income (From All Heads) - Long Term Capital Gain - Short Term Capital Gain - Deductions (except deduction under this section). The limits and conditions under section 80GG are same for the AY 2018-19 & 2019-20. If you make any donation for Scientific Research or Rural Development, then you can avail deduction under this section. Under Sec 80GGA deduction for AY 2019-20, the whole amount of donation is allowed as deduction without any upper limit. However, cash donations of more than Rs. 10,000 are not allowed under this section. This deduction is not allowed to the assessee who have an income from Business/Profession. The limits under section 80GGA are same for the AY 2018-19 & 2019-20. If you make donations towards any political party or electoral trust, then you can avail deduction under this section of the total amount you pay. However, Sec 80GGC deduction for AY 2019-20 is not allowed when donation is made in the form of cash. However, local authorities and every artificial judicial (wholly or partly funded by government) person cannot claim deduction under this section. The limits under section 80GGC are same for the AY 2018-19 & 2019-20. Under this section, you can avail deduction in respect of income by the way of interest on deposits in Savings Bank Accounts of Banks, Co-Operatives Banks or Post Office. The quantum of deduction allowed under this section is Rs. 10,000 or the actual interest earned, whichever is lower. This deduction can be availed by both individual and HUF. Section 80TTB allows a deduction upto Rs 50,000/- in respect of interest income from deposits held by senior citizens. Consequently, limit of tds deduction u/s 194A for senior citizen has been raised to Rs. 50,000. However, no deduction under section 80TTA shall be allowed in these cases. The deduction under section 80G for AY 2019-20 is available in respect of donations made by you towards certain specified funds, charitable institutions etc. The donation should be made in any mode of payment other than cash if it exceeds Rs. 10,000. (For F.Y.2016-17, from F.Y. 2017-18 the limit for cash2,000. (From F.Y. 17-18) Donations in kind are not eligible for deduction under this section. The donation should be made only to specified funds or institutions. Any fund to provide medical relief to the poor, set up by the State Government. Chief Minister's Relief Fund or Lieutenant Governor's Relief Fund for any State or UT. To Government or any approved local authority/institution/association for the purposes of family planning. Donations by a company to Indian Olympic Association or other notified association or institution for the development of infrastructure or sponsorship for sports & games. To Government or any approved local authority/institution/association for purposes other than family planning. To any Indian authority for the purpose of satisfying the need for housing accommodation or for planning development of cities, towns villages. Donations to any notified temple, mosque, gurdwara, church or any other place notified by the Central Government for the purpose of repair and renovation. The limits under Section 80G are same for the AY 2018-19 & 2019-20. (-) Income on which income tax is not payable i.e. Share from AOP. We hope our detailed guide on income tax deductions under chapter VI A has helped you to save maximum taxes and get maximum income tax refunds at the time of filing your Income Tax Return. Income Tax Slabs for F.Y. 2019-20, (A.Y. 2020-21) Interim Budget 2019 | F.Y. 2018-19, (A.Y. 2019-20) | F.Y. 2017-18, A.Y. 2018-19. 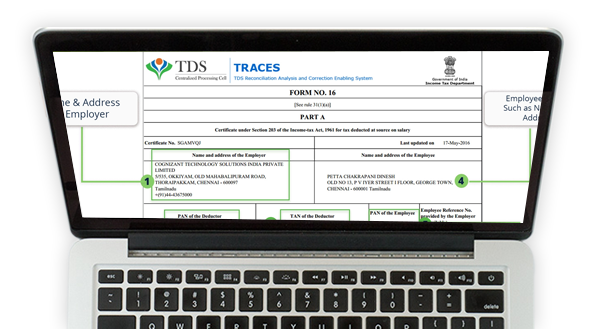 Know the detailed calculation on how to pay No Taxes for income upto Rs 15 Lakhs.